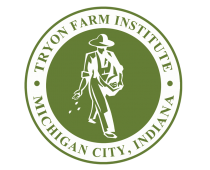 Tryon Farm’s Red Diamond Trail is a 5.0 Kilometer (3.1 mile) long permanent recreational trail that begins at the Chicken Coop adjacent to the original Farmhouse. The pathway winds itself through a series of varied landscapes including meadows, wetlands, dunes and towering forests. Along the way it passes ponds, creeks and many of Tryon’s unique modern homes before returning back to the start at the white Dairy Barn. Can you cross country ski and/or snow shoe in the winter on this trail? Absolutely! It’s beautiful all year ’round!